We also have some images of the Bee Vision helmet from the Bumblebee Movie, which seems to be a mask to mount a smartphone for an AR experience. Check out all the images attached to this post. The SDCC 2018 Hasbro product panel is finished! We’ve pulled out some highlights from this year’s presentation below – and you can hit the read on link to read more. Bumblebee movie will go with a mix of gimmick toys, including Energon Igniters with an Energon Cube, other gimmick toys like DJ Bumblebee and Power Charge Bumblebee. 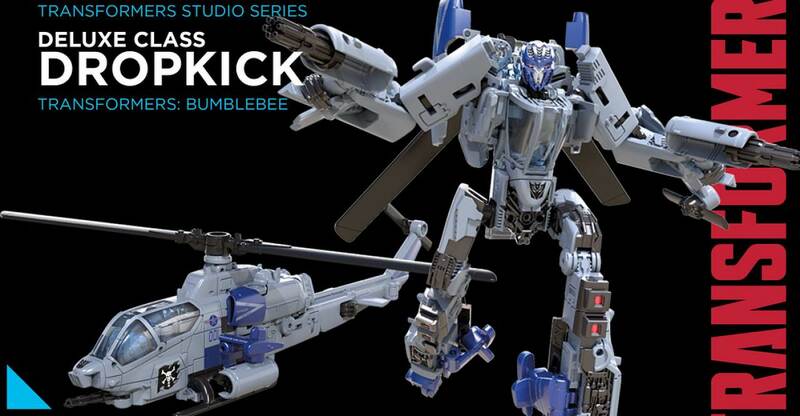 Bumblebee movie characters will also be in the Studio Series, kicking off with the Apache helicopter Dropkick (toy is not a triple changer, for information, but the on screen character may be). 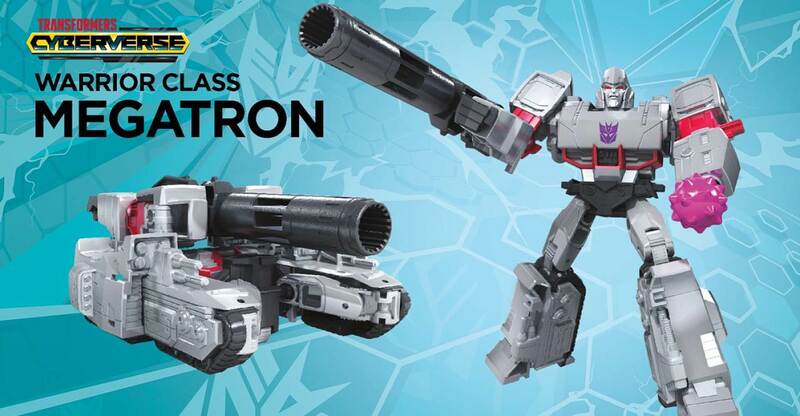 Generations War for Cybertron line kicks off with “Siege”, includes Battle Masters like Firedrive (Firebolt) and Lionizer (Trizer) who come with effect parts. Micromasters so far include Flak & Big Shot, Roadhandler & Swindler, and Red Heat & Stakeout, each pair combining into weapon modes. Deluxes include Sideswipe, Hound, Ironhide, and Chromia, the latter a heavily-retooled Moonracer. Cog (Fortress Maximus’ sidekick in Generation 1) is also in the works, and can transform into weapons for other toys to wield. Voyager Optimus Prime was also shown and billed as highly poseable. Leader class Ultra Magnus shown, who includes a white Prime with clip-on armor and Robots in Disguise 2001 inspired car carrier alternate mode. Cyberverse show was shown, which has a stylistic and minimalist look. It was suggested that 90 bots may appear in the show’s first season (we’re guessing most will be cameos). Hall of Fame inductees are Blackarachnia (fan vote character), Battletrap (fan vote toy of 2018), and John Barber (creator inductee). Check out a full rundown and pics of the panel slides after the jump! All hints will be explained? The first full day of San Diego Comic Con 2018 is underway and our team is on-site at the Collector Preview Breakfast with our first look at some new Transformers! 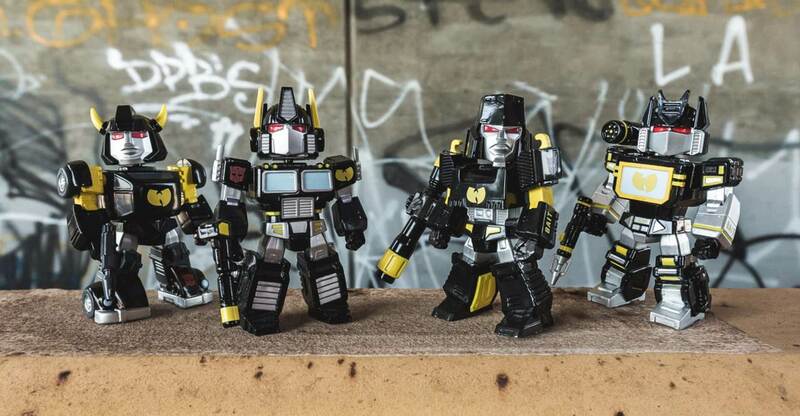 Bait will be bringing their Transformers 4.5 Inch vinyl collab figures to SDCC with another collab on top – the Wu-Tang Clan! Sporting the iconic black and gold Wu-Tang is known for, Optimus Prime, Megatron, Soundwave and Bumblebee will all feature the Wu logo as well. The set will sell for 100 dollars, or 30 a pop. They’ll be available at the Bait booth (#5645) in the show or at their store on 920 5th Ave throughout the event. According to the Comic-Con items FAQ on Hasbro Toy Shop, SDCC 2018 convention exclusives will be available for purchase on August 13th. Placeholder listings for the items announced to date already appear, along with their respective per household order limits. This is a welcome change from past years of wondering when and for how long to F5! When will the convention exclusives be available on the site? Although subject to change, we are planning on having the convention exclusives available to order on Monday, August 13. The product will be located in the EXCLUSIVES category. No phone orders will be accepted. All Convention Exclusives are excluded from any promotions and discounts. What will the limits be for the convention exclusives? The limits will be the same at the show and on site once they go live. For those attending the convention, the Exclusives Portal is open via eligible Comic-Con member ID accounts for submissions of interest in exclusive merchandise purchasing time slots and will close tomorrow July 12, 2018 at 12:00 PM Pacific Daylight Time (PDT). Which items are on your buy list? 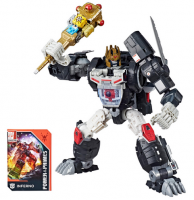 Review our coverage of the announced exclusives items, including the Transformers Trading Card Game, the Power of the Primes Throne of the Primes Optimal Optimus & the Studio Series Bumblebee Retro Rock Garage set. Follow our stock thread for updates and then sound off on the 2005 boards! Screen Rant is giving us our first look at Transformers: Bumblebee movie licensed Scooters by Razor. The scooters are available in two variants; with one exclusive to San Diego Comic Con 2018. 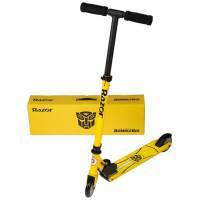 The exclusive yellow scooter will feature an additional white stripe and two black stripes with a black movie Autobot insignia. The regular version will only feature a red G1 Autobot logo. Screen Rant article also mentions that many other movie licensed items will be showcased at SDCC. You can check out the images, after the jump. Don’t forget to join with TFW2005 for our coverage of the event. 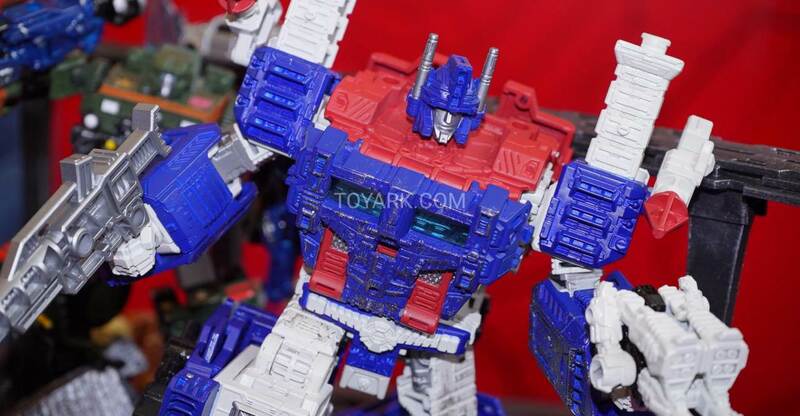 Thanks to Blacklai’s Toybase Blog we have an extensive in-hand gallery of the San Diego Comic-Con Exclusive Throne of the Primes. We have several shots of this nice repaint of the Power Of The Primes Optimal Optimus, including all their accessories and bonus like the throne, card, posters, crown, the Scepter of Sparks, The Halo of Primus, and Nexus Prime, Amalgamous Prime, Prima Prime and the Legendary 13th Prime Comic-Con exclusive Prime Master figures. We can spot some nice details like the portraits of several of the characters from the 2016 Power of the Primes Fan Vote all over the cardboard throne. We also have side-by-side comparison shots with the Leader Class Optimal Optimus figure in all his modes. The set is due to be available at Hasbro Toy Shop during the upcoming SDCC 2018 and Hasbro Toy Shop online afterwards in limited quantities. You can check out all the mirrored images of this great Boss-Monkey repaint after the jump and then sound off on the 2005 Boards! IDW have posted their San Diego Comic Con exclusive comic cover variants, which includes a great variant Transformers cover. 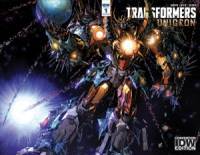 Unicron #1 is getting a very nice variant cover by Alex Milne. It’s a piece of art we’ve seen before, depicting IDW’s new version of Unicron in robot mode – holding the Earth in the palm of his hand. The issue is set to go on sale at SDCC 2018 for $10. You can check out the cover art attached to this post – it’s quite small, so we’ve also added in the earlier art of the robot mode that this cover makes use of. Interestingly, the image is mirrored for the cover art, likely to better accommodate the logo.